Pablo Sánchez Chillón, Lawyer, Political Scientist, Researcher and Strategic Advisor on Urban Innovation, Policy Making and Smart Cities. Co-founder and CEO of Sánchez Chillón Abogados and Eolex Citylab, two teams of strategists and social innovators, helping private and public stakeholders to ideate, develop and disseminate innovative Smart City projects. Pablo is Strategy and Public Affairs Advisor and Urban Counselor for Cities, Mayors and Institutions. He is a renowned consultant on Urban Diplomacy and City-branding, and CEO (2015) of Foro Global Alicante, ‘A City in Motion’ a digital/real network of Excellence committed to support and disseminate the innovative City-brand of Alicante (ES) by creating a Public-Private Platform for Urban Diplomacy. 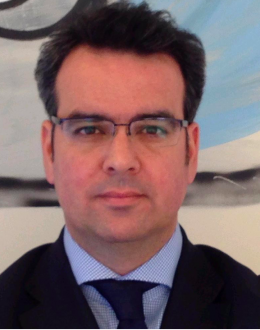 Pablo has a Law Degree in ICADE (Madrid, 1997), and has completed Post-graduate Studies on Urban Public Affairs (PDAP – ICADE Madrid, 2014), Urban Planning (FUNDESEM BUSINESS SCHOOL, 2013) & Public Management (FUNDESEM, 2013). Pablo will get his Degree in Political Science in 2015 (June, expected). Pablo has been invited Lecturer at the Master of Advanced Tools for Sustainable Planning Università degli Studi di Sassari (IT), Universidad Internacional Menéndez Pelayo (ES) & Pontificia Universidad Católica Puerto Rico (PR). He has recently joined EIC, International School of Communications & Public Affairs (Madrid) and ICEM ESIC University as a Faculty member. In 2014, Pablo was appointed CEO of Elche Smart City Project (Spain) and member of the Steering Committee of the Smart City Exhibition Bolonia (Italy 2012-today), My Neighbourhood Project (Portugal, 2013- Today)) y Executive Advisor for the Corredor Digital Santurce Project/ Smart City (San Juan de Puerto Rico, 2013-Today) and for the EU Project UrbanIxD. (2013-2014). In 2016, Paul has joined Both EIC, International School of Communications & Public Affairs (Madrid) and ICEMD- ESIC (Institute for the Digital Economy) (Madrid) as a Faculty member. I is an active member of the Steering Committee of the Smart City Exhibition Bologna (Italy), Lecturer at the Master on Design of People Centered Smart Cities, (Univ. Roma Tor Vergata ) and Advisor of the EU Project UrbanIxD and „My Neighbourhood Project”. With a solid experience as International Keynoter on Urban Innovation, Strategy and Smart City matters, from 2013, Pablo co-organizes the Smart City Congress “Thinking Capitals”, the regional event in Valencia (ES) about the Smart City paradigm and the role of Digizens, new Digital Citizens (term coined by Pablo). Pablo is Editor of the influential blog URBAN 360º on Urban Innovation, Digital Cities & Urban Diplomacy and guest editor of the International Journal of Digital Literacy and Digital Competence and contributes to the Tech Magazine of Le Monde – IBM/ Planète Plus Intelligent, and UCLG (The Global Network of Cities, Local & Regional Governments) and World Bank City Sense. Pablo is fluent in Spanish, English, Italian & Catalan.